SOMETHING OLD… The Skids formed in 1977 in their home town of Dunfermline, Scotland by Richard Jobson, Stuart Adamson, Bill Simpson & Tom Kellichan. After releasing an independent single the band were played by John Peel, supported The Clash in concert and then were signed to Virgin Records in 1978. Their first singles were ‘Sweet Surburbia’, ‘The Saints are Coming’ and ‘Into the Valley’ – the latter reaching the UK Top Ten in early 1979. Skids briefly reformed in 2007 to celebrate the band’s 30th Anniversary with concerts in their native Scotland at T in the Park and in their hometown of Dunfermline. 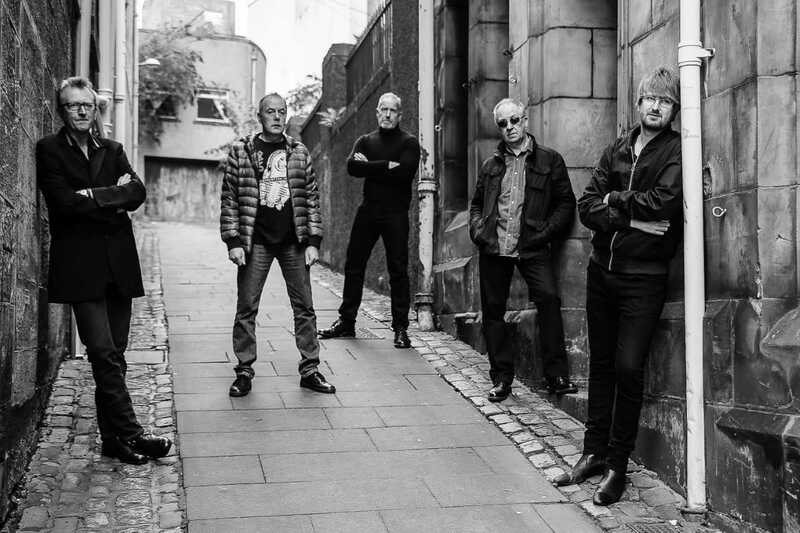 Skids are: Richard Jobson, Bill Simpson, Mike Baillie, Bruce Watson & Jamie Watson.